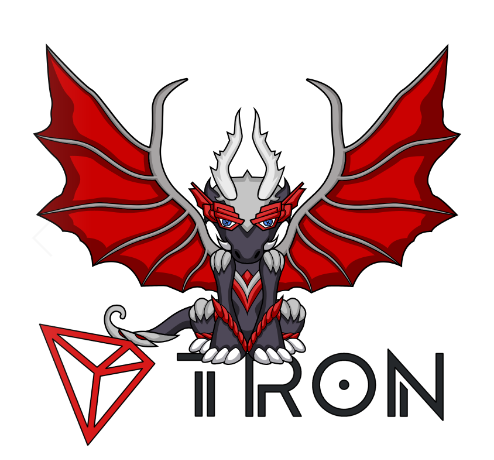 The popular blockchain based game Everdragons announced plans to expand into Tron network. Everdragons moved to POA network last August as a way to avoid Ethereum network congestions. Until today it is available in both POA and Ethereum network where players can roam freely between those two blockchains. The real-life events powered collectible gaming platform is not the only one looking forward to join the TRON Blockchain, days ago, Blockchain Cuties, another popular breeding collectible game announced plans to integrate TRON blockchain also. Jacqueline, Co-Founder of Everdragons stated that the developers have been looking into TRON network for some time and now the integration is about to become a reality. In addition to the TRON integration announcement, Jacqueline reported that the platform launch will be companioned by special offers and discounts regarding the game. No much information publicly available, but she also stated that some new games are coming, so get ready! Egamers.io contacted Jacqueline regarding the TRON integration for a comment. TRON is making a huge progress in terms of hosting dApps, more and more blockchain games are already joining the popular blockchain and a wave of other games is coming due to the gamers frustration with Ethereum fees and low transaction speeds. TRON has become a favorite blockchain for many cryptocurrency enthusiasts and investors. The Asian platform offers almost zero and fast transaction speeds for uninterrupted gaming while allowing developers to code more complex smart contracts, all with the support of the technical team of TRON. The TRON Blockchain is supported by a huge community which can greatly impact any game in terms of players. We expect Everdragons to increase their daily users with this strategic move while introducing the game to a wider audience, eager to play blockchain games. Why don’t you jump over our telegram community and discuss around Tron Blockchain? Everdragons is a gaming platform with a series of mini-games. Earn Experience, Prestige and Gold Coins with your dragons. The platform has a range of games coming including prediction, luck, turn-based strategy, and team games. The variety of games will appeal to a range of different players and they will all have something unique with a number of them taking off chain events to power the outcomes. Currently operating on both POA and Ethereum network, Everdragons is one of the most popular games out there.